If there is a brand right now that can compete with Xiaomi in the budget and mid-range segment, then it’s Honor. Just like Xiaomi, Honor likes to launch phones at unbelievable pricing, and we have seen this a lot of time, not only in the budget segment but also in the flagship segment. 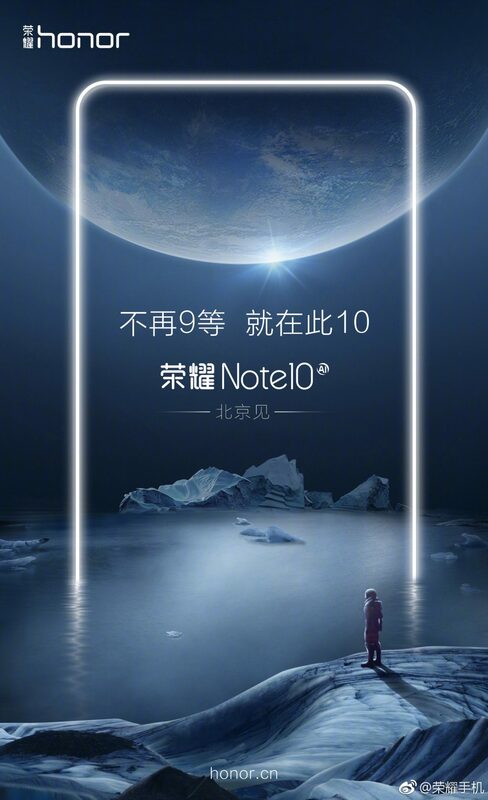 The Honor Note 10 is an upcoming high-end phone from the company that will launch with a huge display, and in the past weeks, the phone showed up on benchmarking platforms, retail sites etc. Today, the major specifications of the Honor Note 10 got leaked that confirmed the specifications we got from the previous leaks. One of the main highlights of the Note 10 is going to be its humongous battery. There is a 6,000mAh battery under the hood, which is more than enough to last two full days on heavy use, thanks to the power efficient Kirin 970 processor. The Kirn 980 is expected to arrive with the Huawei Mate 20, and so, Honor will continue to use Kirin 970 for all its high-end and mid-range phones this year. The Kirin 970 is not bad at all. The only thing is that it is not as powerful as the Snapdragon 845 and the true competition of 970 is the Snapdragon 835 of last year. Anyways, talking about other specifications of the Honor Note 10, it has a 6.9-inch Quad-HD+ display and the Kirin 970 processor powers the device. There is a dual rear camera setup that includes 24MP + 16MP sensors. On the front, the phone has a 24MP camera. Android 8.1.0 Oreo runs out of the box with EMUI skin on top, and there is a 6,000mAh battery under the hood. The Honor Note 10 is also coming with the GPU Turbo technology that improves the overall performance of the device. Other features include NFC, USB Type-C port and 5V/4.5A charging.